After an extended weekend atop the Sierra Nevada Mountains enduring altitude adjustment and analyzing its impact upon beer metabolism, TheBrewSherpas returned to base camp in Napa, California. Three of our Sherpas stopped by the Napa Smith Brewery camp. Parched from the arduous descent, we were greeted by Karl who promptly poured us all pints of Napa Smith’s welcoming beers. Despite the fact that the pub was closing in 20 minutes, Karl invites us to accompany him through the nearby brewery building while he closed up for the evening. This invitation provided us with an intimate, exclusive tour of these incredibly clean brewing areas. In its former life, Napa Smith’s facilities were operated as the Hakusan Sake Gardens sake distillery and tasting room, with large metal doors leading into the first brewery chamber. 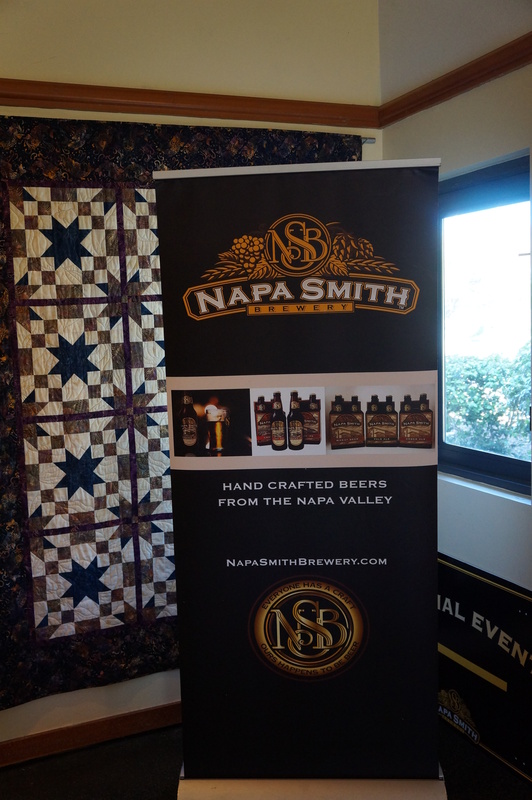 Napa Smith’s Brew Master, Don Barkley, has been professionally craft brewing since 1978, beginning at New Albion, the first new brewery in the U.S. since Prohibition, and is referred to as America’s most experienced craft brewer locally. Currently, in spite of broad distribution across the U.S., Napa Smith’s brewery is only producing approximately 5,000 barrels of beer annually, and the premises provide ample room to grow. 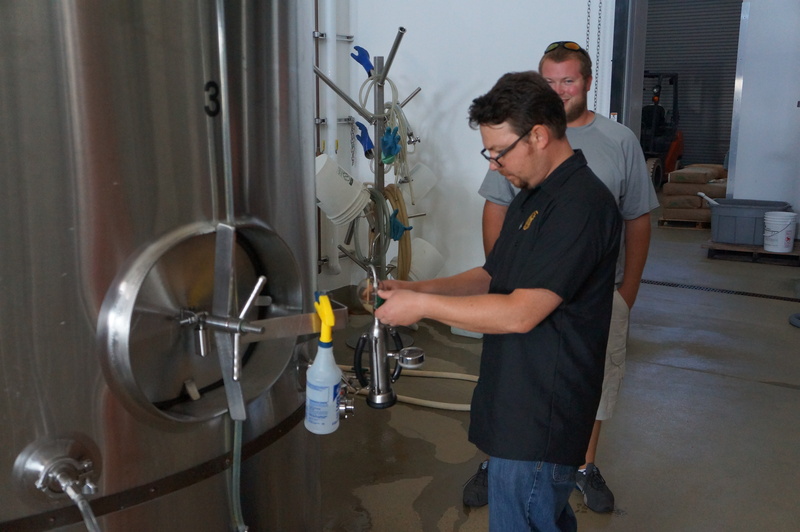 As we moved through the facility, TheBrewSherpa-Brewticular emptied his pint of Hopageddon, so Karl hooked up an apparatus to the brite tank and poured him the freshest Hopageddon possible, satisfying ‘Sherpa Brewticular on a cellular level. We finished up our tour in the tasting room, where we enjoyed Ewan Paine Scottish Ale and a few of Napa Smith’s delicious beers while Karl hooked up the other Sherpas with swag. As a gesture of good will and an homage to Don, Karl and all the other workers at Napa Smith Brewery, TheBrewSherpas helped carry a couch into the Brewery Break Room, our way of making sure that the crafters of this fine Napa Smith beer are amply rested while crafting more beer for us! There is a mountain of beer out there, and Napa Smith Brewery provided an excellent base camp for TheBrewSherpas on a sunny Sunday afternoon in July. Posted on July 31, 2012 July 31, 2012 by thebrewsherpaPosted in UncategorizedTagged hopageddon napa beer sherpa california don barkley.